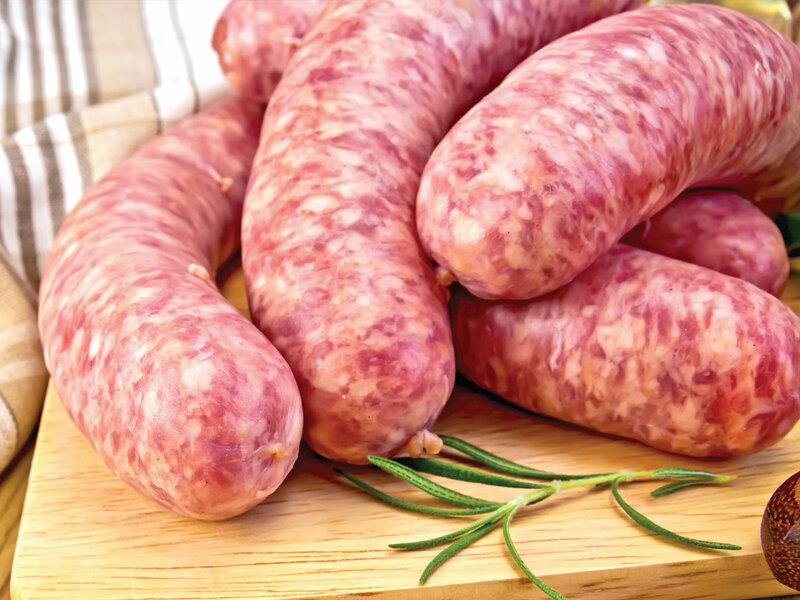 In short UK Sausage Week is here to help boost trade this autumn. It will take place from 29th October through to 4th November. 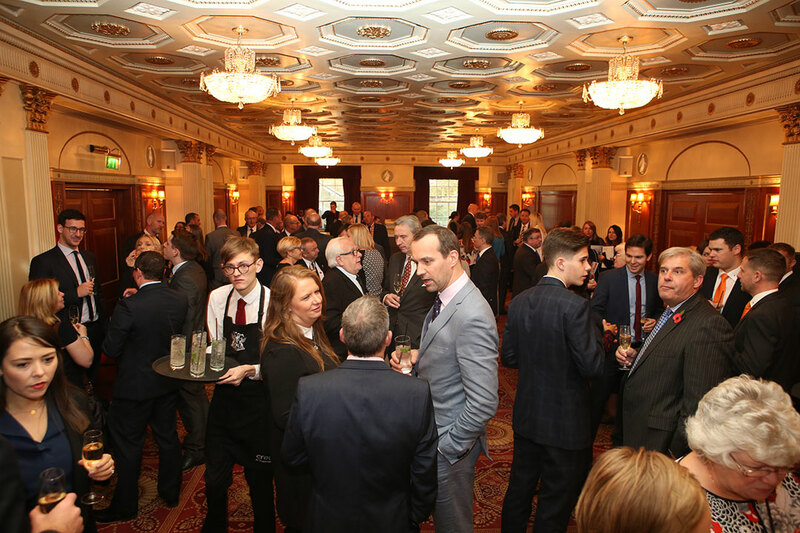 The event was designed by Meat Management magazine last year to replace the usual autumn British Sausage Week which was not run by AHDB in 2017. 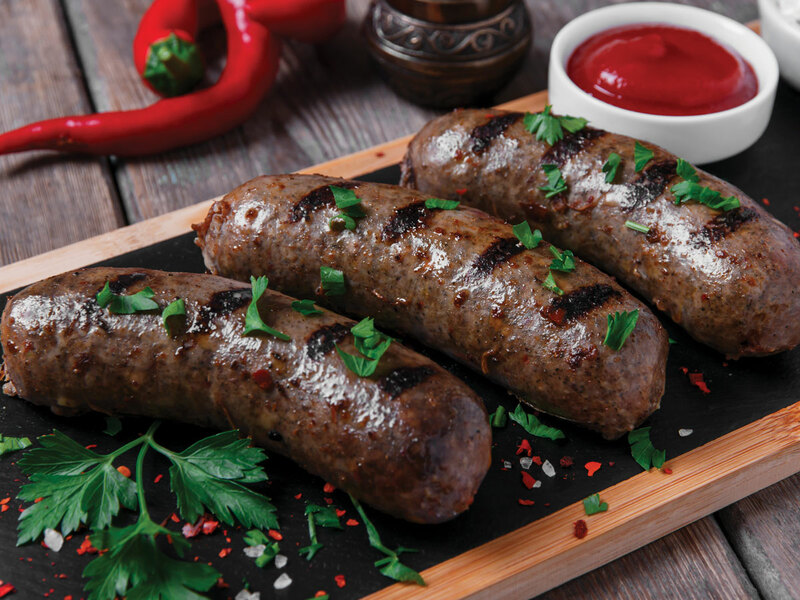 Graham Yandell, publisher of Meat Management magazine, said: “Many in our industry felt the trade should still be supported with a major sausage event and we at Meat Management are ideally placed to provide the infrastructure for promotion and events. Plans are underway once again for a celebratory lunch which will highlight many of Britain’s best sausages, recognising winners from all around the country and of course the overall Supreme UK Champion. 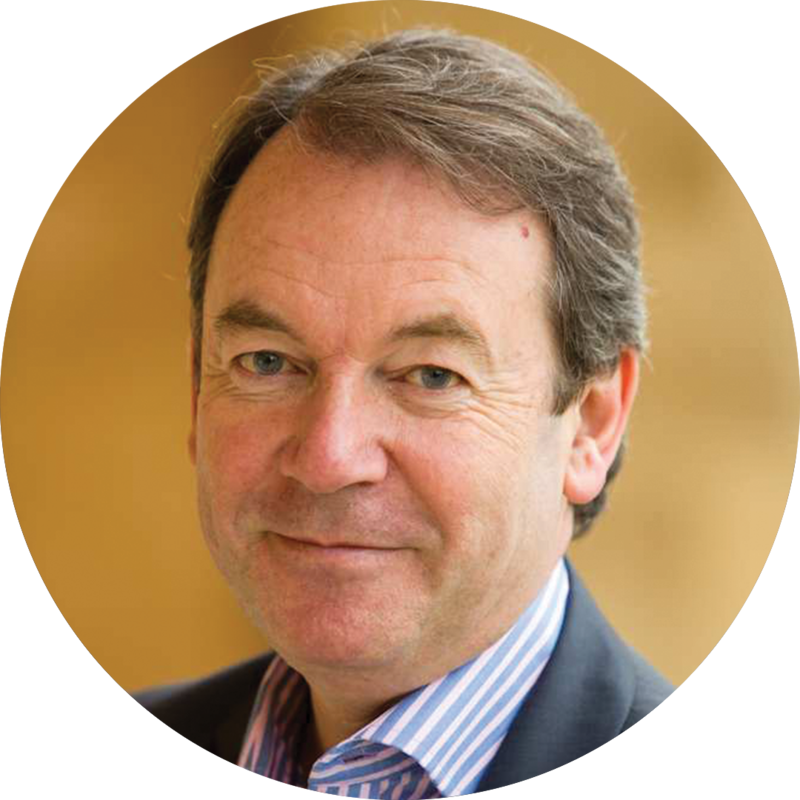 Retail butchers, multiple retailers and manufacturers will be recognised and 2017’s successful judging infrastructure is in place again, featuring a large team of industry experts under the direction of chief judge and Liveryman Keith Fisher, the well-known CEO of the Institute of Meat. UK Sausage Week is an annual meat industry campaign designed to help boost trade each autumn. The initiative was designed by Meat Management magazine. A variety of events took place throughout the 2017 campaign. 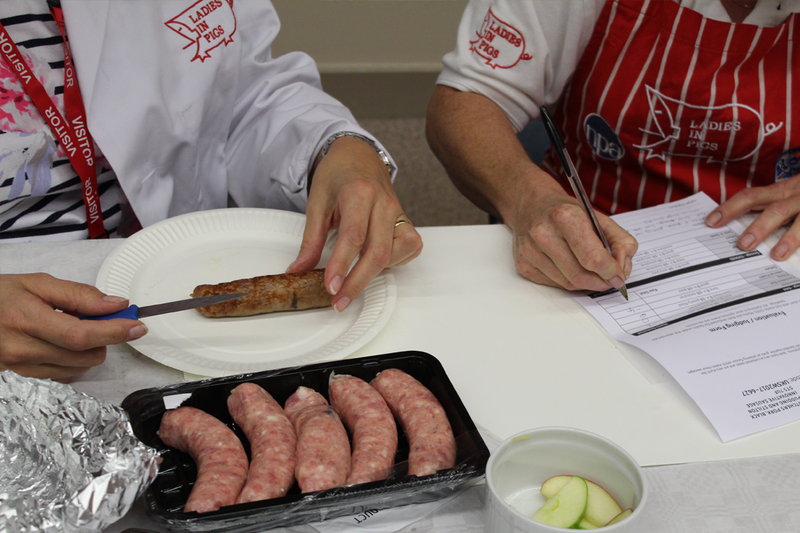 Butchers, manufacturers, retailers and associations across the UK hosted their own sausage events, special promotions, competitions and tastings across the week. For a taste of what went on, click here. 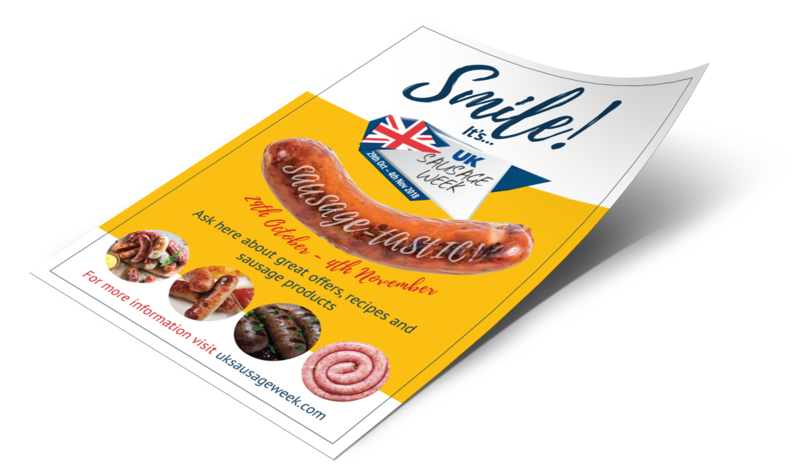 Companies were able to download an official UK Sausage Week poster to display, as well as a logo to print and use for product labels. 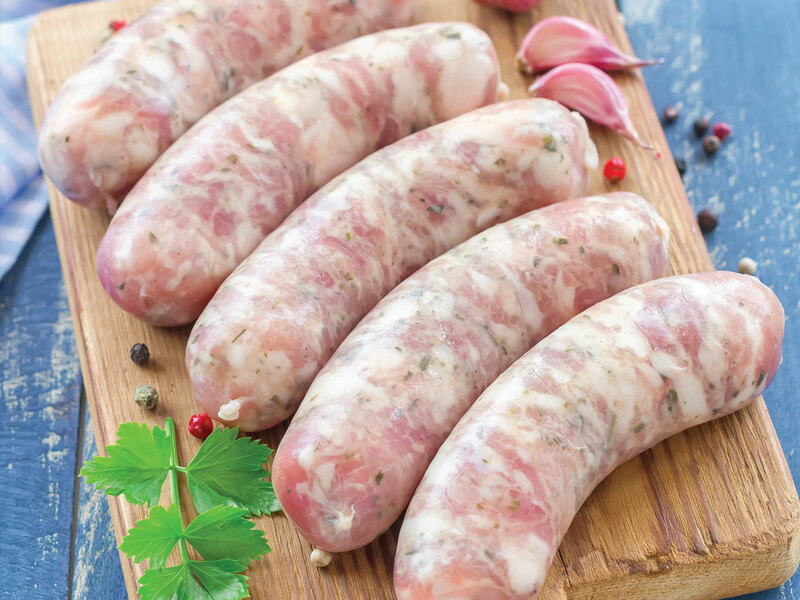 We also gathered an extensive selection of sizzling sausage recipes available for use. The recipes can still be downloaded and enjoyed all year round. This 2017 UK Sausage Week kicked off with a bang (or banger!) 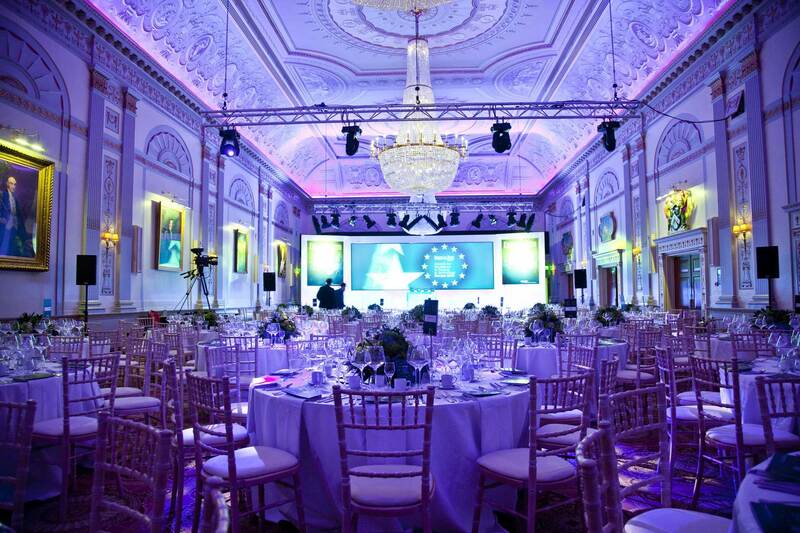 with a celebration lunch on 30th October at Plaisterers’ Hall, London, when awards were presented for some of the country’s best sausages. TV celebrity, Antiques Roadshow expert and 2017 sausage ambassador Eric Knowles presented the 27 winners with their certificates. The event included the UK Supreme Sausage Champion accolade which was awarded to Kent butcher J C Rook & Sons Ltd for its Battle of Britain Memorial Sausage. 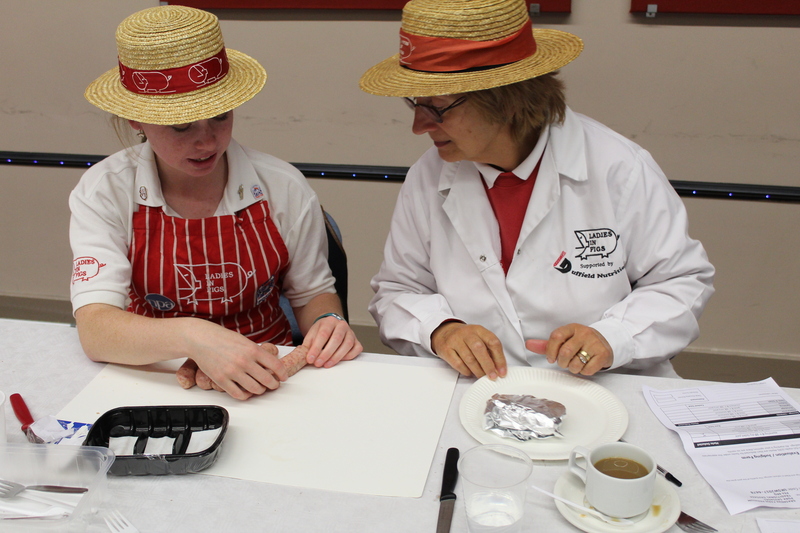 More than 400 different products were entered into the competition and were judged at The Regional Food Academy, Harper Adams University, by Institute of Meat CEO Keith Fisher, Ladies In Pigs and other industry experts. A full list of winners can be found here. UK Sausage week will return between 29th October and 4th November 2018. It’s back with a banger!!! Once again, butchers, manufacturers, retailers and trade associations in the UK will be promoting the great British sausage. This will include hosting their own sausage events, special promotions, new product launches, competitions and tastings to celebrate UK Sausage Week 29th October – 4th November. UK Sausage Week 2018 is set to be another fantastic opportunity for the industry to get behind one of the nation’s culinary delights, supported by Meat Management magazine. 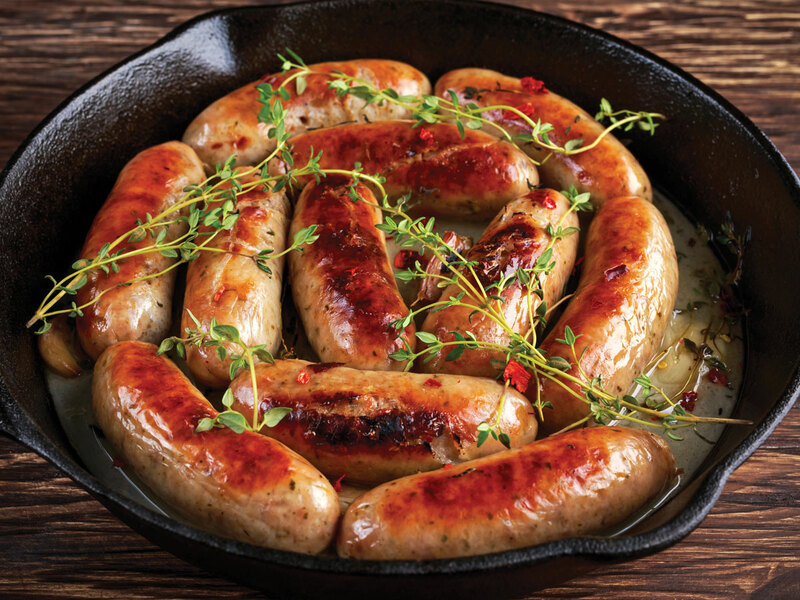 Not only does Meat Management organise the UK Sausage Week competition in October, but will also put together and publicise a selection of sizzling sausage recipes which will be available for businesses to use and distribute to their customers. 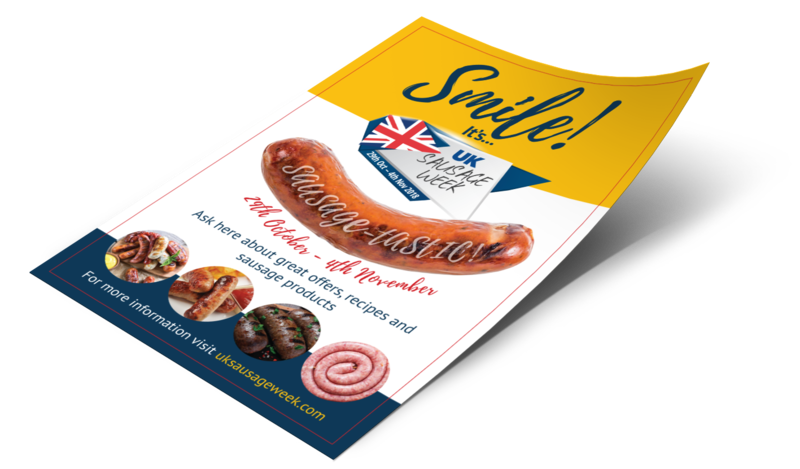 Companies throughout the UK are also provided with marketing and POS material, including an official UK Sausage Week poster in print or to download and display, as well as a logo to print and use for your sausage products labels and packaging. The awards lunch on 29th October marks the beginning of UK Sausage Week, so make sure you book tickets and enter the competition now. You have to be in it to win it! 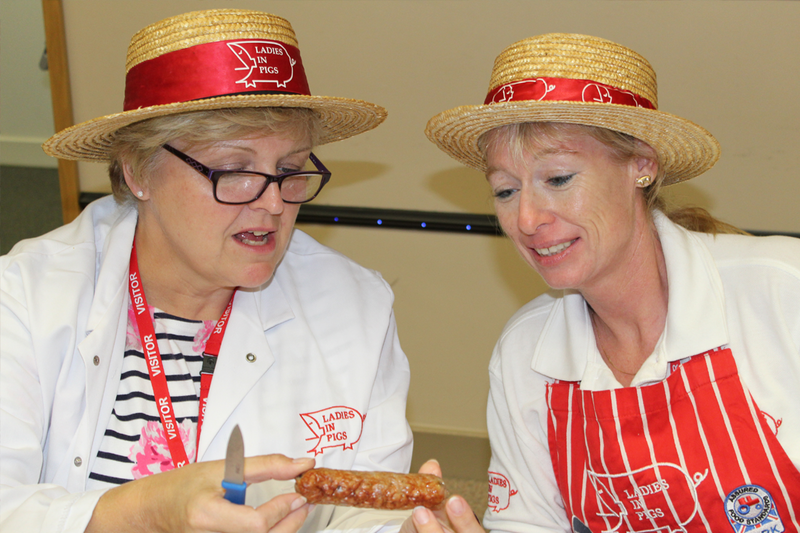 UK Sausage Week 2019 will run from 28th October to 3rd November – so put the dates in your diary today! 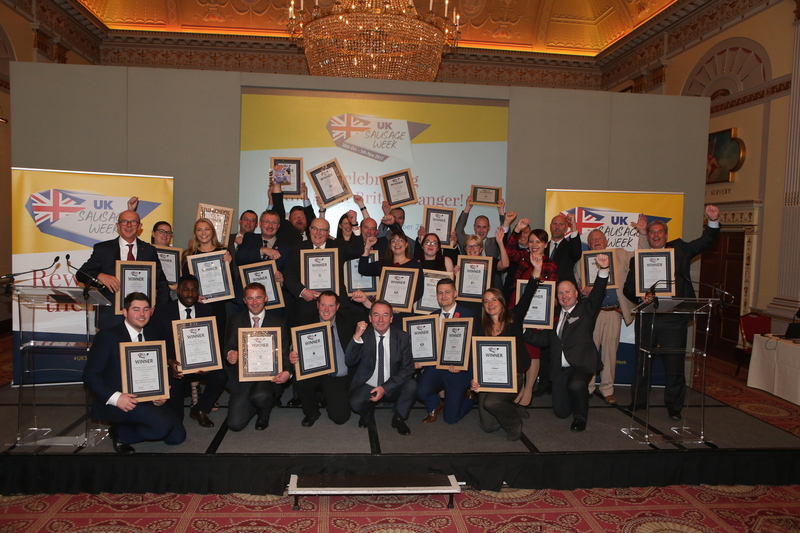 During 2018’s campaign, butchers, manufacturers, retailers and trade associations across the UK promoted the great British banger through a variety of events and activities. 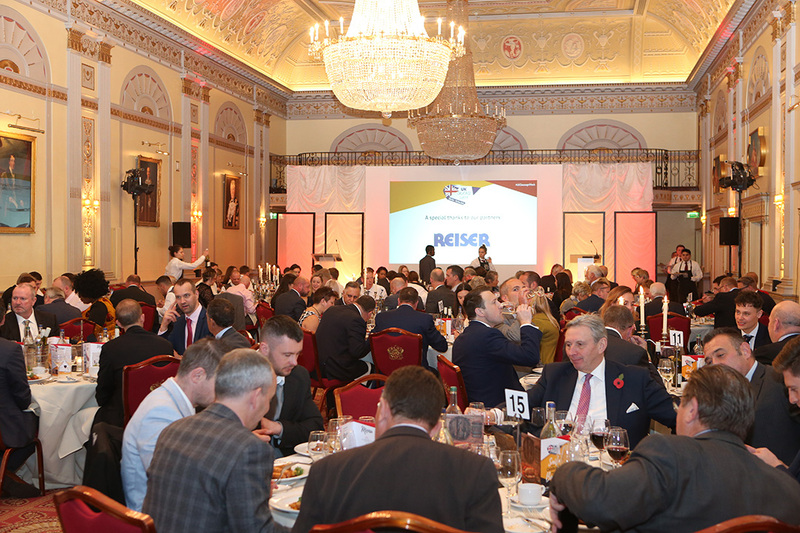 The headline event was the UK Sausage Week celebration lunch (which will also return in 2019) where the best sausages in the UK scooped prestigious awards. The overall UK Supreme Sausage Champion was Frank Parker Butchers which, as a result, featured on the likes of BBC Radio 2 with Chris Evans, Channel’s 4’s Sunday Brunch and with Chris Moyles on Radio X. UK Sausage Week itself also featured across multiple national and regional media platforms, including Heart Radio and The Daily Star. UK Sausage Week is supported by Meat Management magazine and is designed to celebrate one of the nation’s most popular food products. 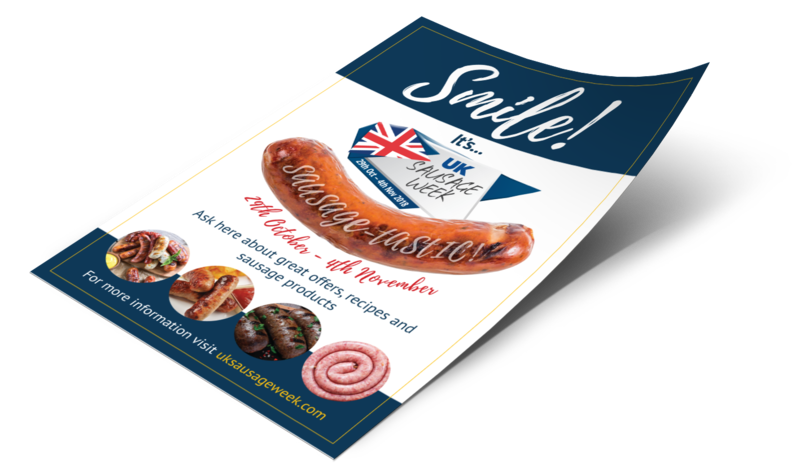 Every year, Meat Management helps the meat industry to make the most of the campaign by providing free marketing and POS materials, including an exclusive poster and logos and a selection of sizzling sausage recipes. More information on 2019’s campaign will be available in due course. For now, why not take a look at our recipes and news pages, and if you have any queries do not hesitate to contact us. 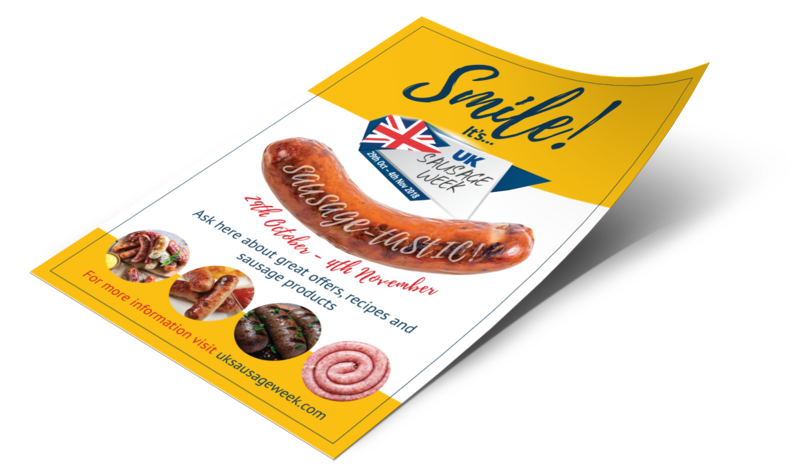 Make the most of UK Sausage Week 2018, download your free #sausagetastic poster using one of the links below. We have four official poster designs to choose from. (Awarded based on all entries to decide an overall UK champion). Entry is free. Companies may enter a maximum of 2 different types of ‘traditional’ and 2 different types of ‘innovative’ sausage. UK Sausage Week partnership packages are available for 2019, contact Michelle Ingerfield to find out more. Call 01908 613323 or email michelle.i@yandellmedia.com. 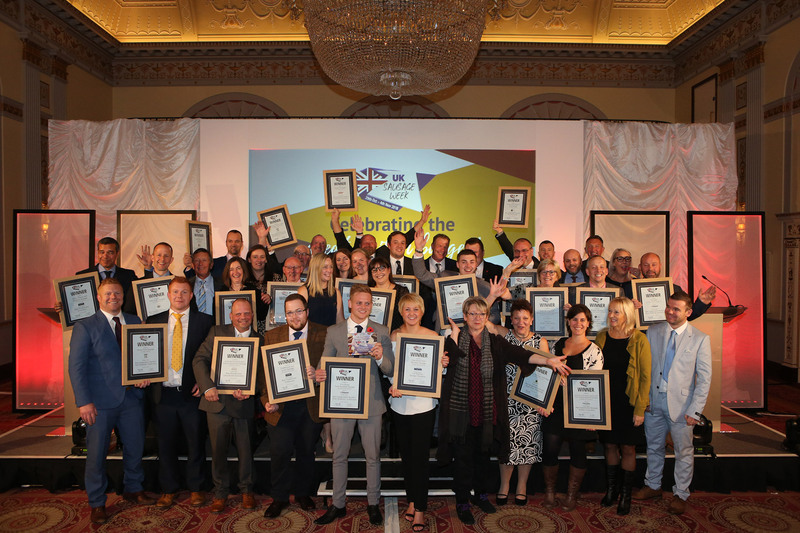 Host Sophie Grigson, known for her cookery books and regular television appearances, presented the 27 winners with their certificates at the 2018 UK Sausage Week celebration lunch. Sophie Grigson’s television debut first came in 1993 with the 16-part series Grow Your Greens, Eat Your Greens on Channel 4, which won her the Caroline Walker Prize in the Media Category. This lead on to other radio and television work including Sophie Grigson in the Orient and Sophie Grigson in the Souk for the Travel Channel. “Opening the Sausage Week competition up to feature all meat sausages rather than only pork was an excellent move. Throughout the judging we tasted everything from turkey through to venison and some of the flavour combinations used were truly inspired. The care and attention that’s been put into the products submitted was clear. 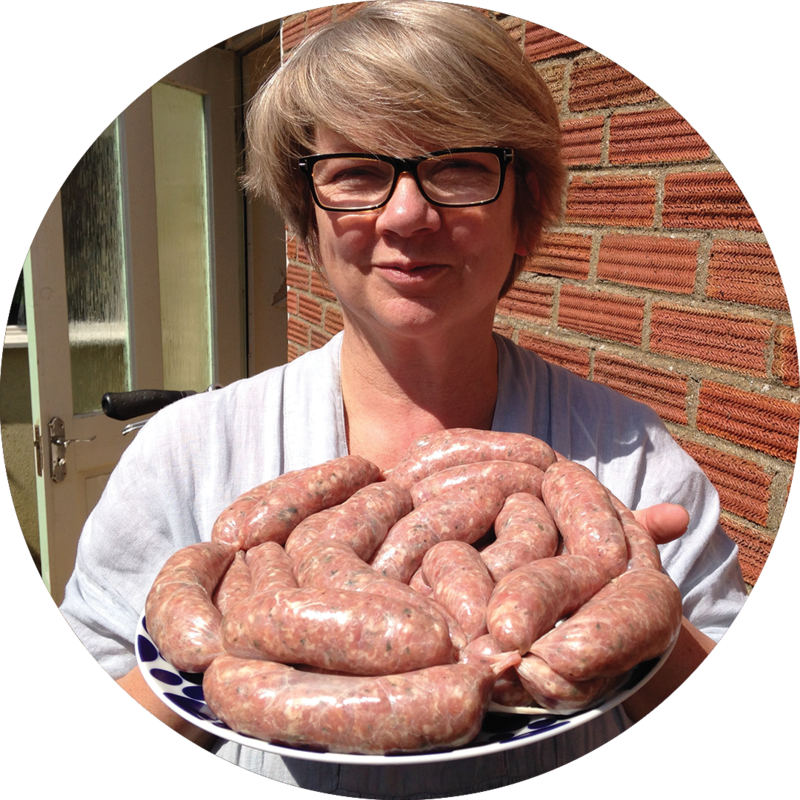 The UK Sausage Week ambassador for 2018 is celebrity chef, author, broadcaster and cookery school businesswoman Sophie Grigson. The venue for UK Sausage Week’s celebration lunch, taking place on 30th October, has been unveiled by organisers YPL Exhibitions & Events. 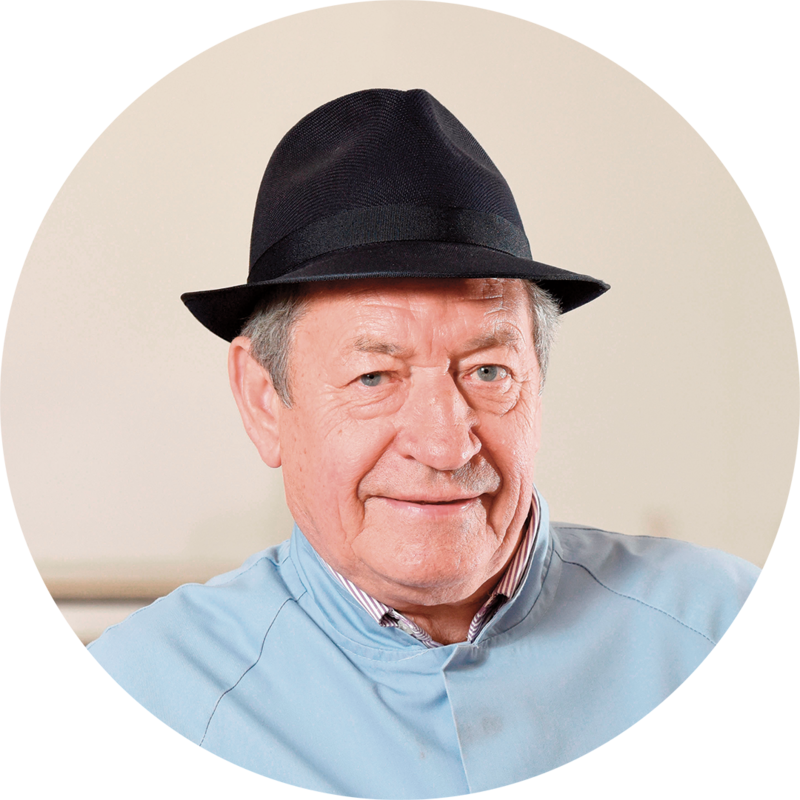 The event will highlight many of the UK’s best sausages, recognising winners from all around the country as well as an overall UK Supreme Sausage Champion. 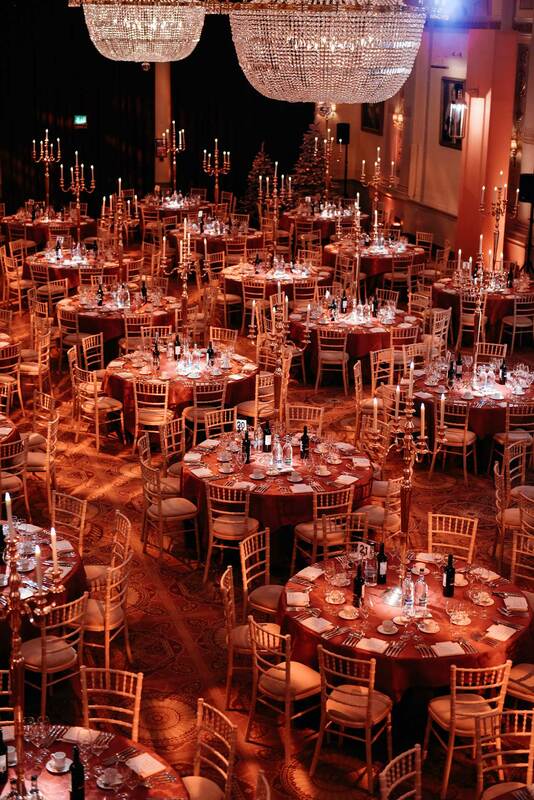 Announcing the venue, event organiser Emma Cash commented: “Plaisterers’ Hall is a superb venue and we were very pleased with the setting, food and service when we used the hall for the launch of our FMT Food Industry Awards in 2015. Tickets are now available. Click the button below and fill out our simple form to purchase them.